Staying true to their mission statement “To produce organically grown fruit and with this fruit make a singular wine of the highest caliber and distinction,” Bart and Daphne Araujo have been creating magnificent wines from their own Eisele Vineyard, which was included in Robert Parker Jr.’s The World’s Greatest Wine Estates: A. Modern Perspective”. Hailed by critics, the Eisele Vineyards has been producing world class Cabernets since 1964. Araujo is revered for their ability to create world-class cult wines organically. With the judicious use of Biodynamics, their wines can be laid down for 25+ years. Former winemaker Francoise Peschon, Araujo has recently turned over operations to the more-than-capable hands of Niles Kingsman, who came to Araujo from Krupp Brothers Winery. 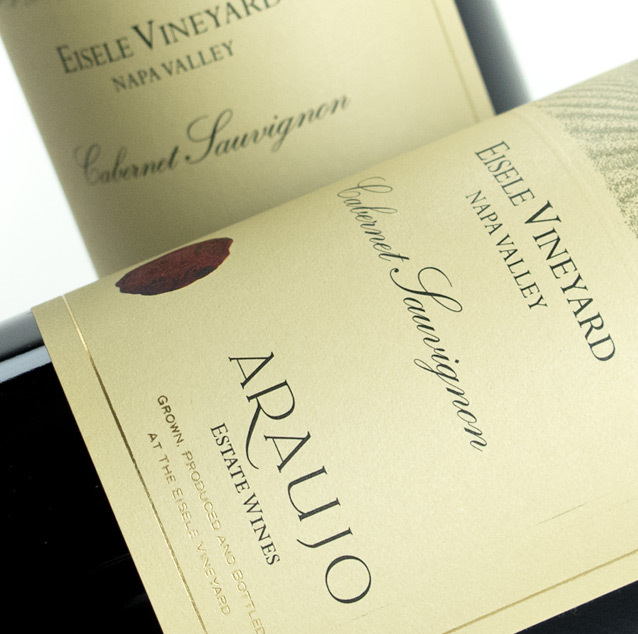 Araujo produces four wines each year totaling 2000 cases: the Cabernet Sauvignon Eisele Vineyard (1995 98pts Wine Advocate); Altagracia, a second estate Cabernet; Syrah Eisele Vineyard; and Sauvignon Blanc Eisele Vineyard.